For American paralympian Rebecca Hart finding El Corona Texel was love at first YouTube view. You could say the same about Hart’s technique for picking freestyle music—it too is unique. 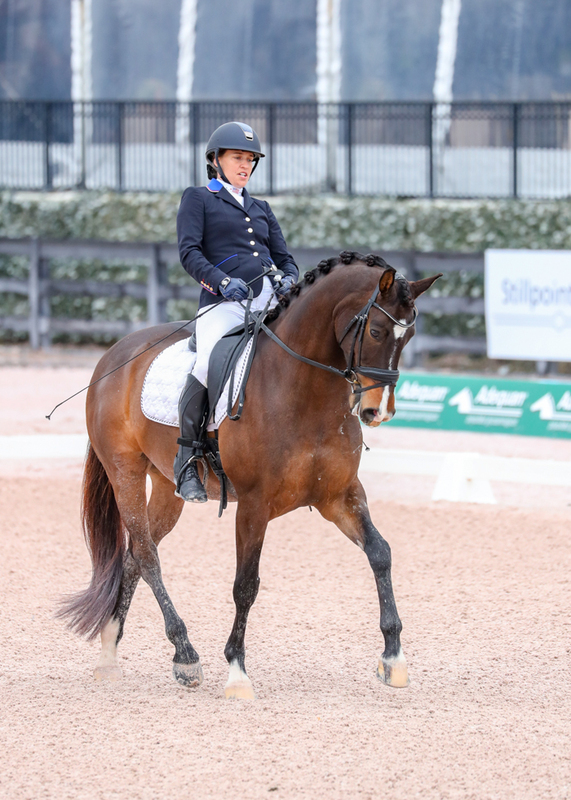 The three-time Olympian rode her 2018 World Equestrian Games test in the Grade III Freestyle on Week 2 of the Adequan® Global Dressage Festival (AGDF) CPEDI 3*. It’s music her horse helped choose. 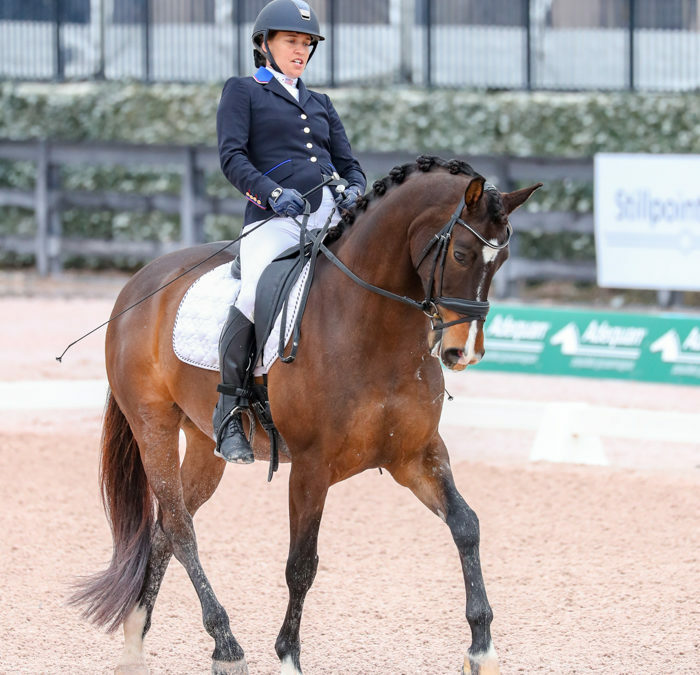 Hart and Tex won the Grade III freestyle with a personal best score of 75.278%. Grade III is for riders who have severe impairments in both lower limbs with minimal or no impairment of the trunk or moderate impairments of the upper and lower limbs and trunk. Some riders in Grade III may use a wheelchair.